Send your entry form together with proof of purchase (product label) to the address indicated in the contest form. All winners will be notified by post. 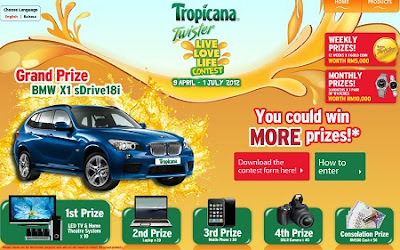 Visit Tropicana Twister website for more detail. Are you a True Malaysian? Watch the short videos, then leave a comment to win RM300 cash and hampers!